Bluetooth support is a custom option available by request for the Basestation-2 hand-held ground-station. It provides for a Serial console link for use with popular GNSS mapping and navigation software for your portable or mobile device (most all of which support Bluetooth). Power up the Basestation-2 and stay no more than 20 feet (Line of Sight) away from the Windows PC you are using (one usually has someone stand still with the Basestation-2 antenna pointing upright during flight and located right next to the operator of the host PC). On your host PC, either use the built-in Bluetooth controller or use the one provided with your ground-station. Use Windows update to make sure the driver installs correctly and you can see your Bluetooth hardware in the device manager under Control Panel. Select the HC-06 Bluetooth device and press “Next”. The Pairing options are shown, select “Enter the device’s pairing code” as shown below. Press “Next” and the pin selection is shown, enter “1234” (no quotes) and press “Next”. 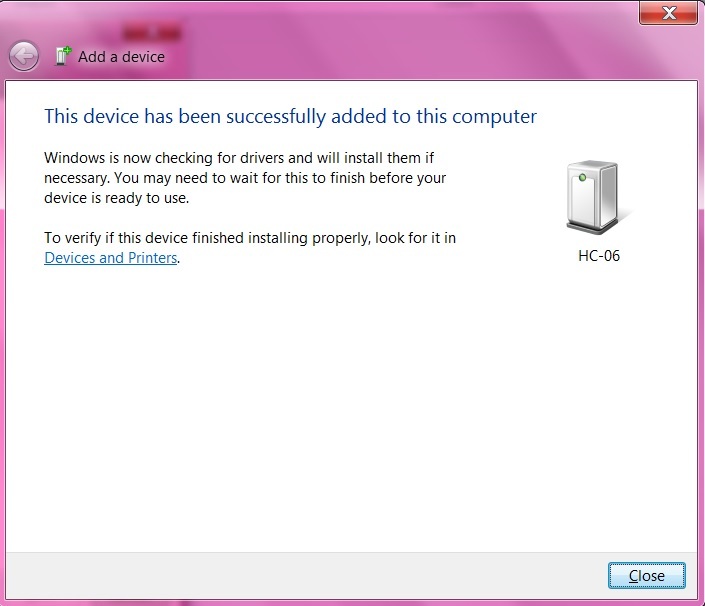 You will see the messages below and then Windows will search Windows update for Drivers and install the drivers. Installation messages will be shown below. Note the first Serial over Bluetooth link listed (in this case COM39). 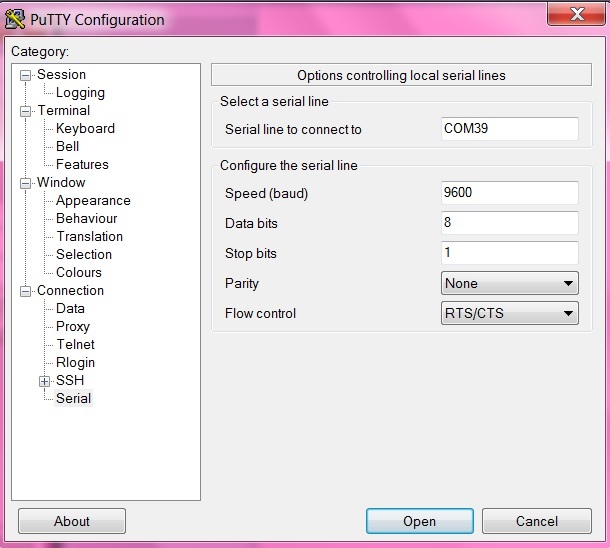 Next download the Putty terminal emulation software for verification of your BT connection. Input the COM port and name your session. Next simply go back to session, save your session and then press “Open” to start your session. Next, power up GPS-1 or GPS-2 transmitter. 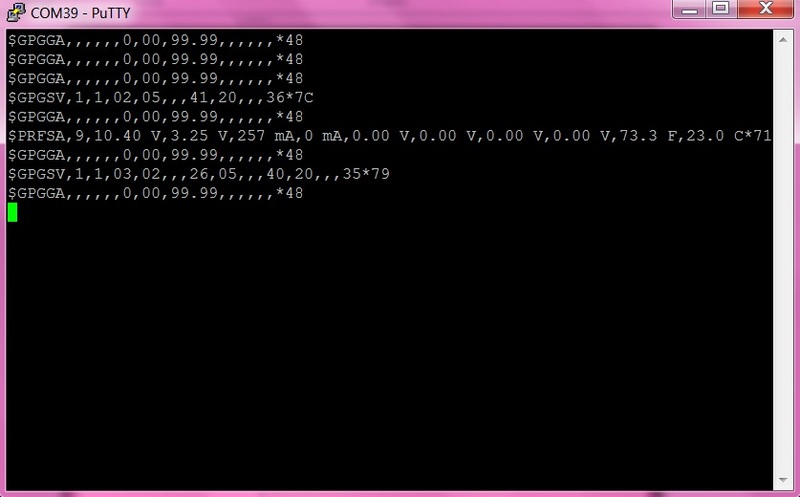 You will see a console screen as below with messages coming out of it. Congratulations! You may now use the GNSS software of your choice (TopoGraphix ExpertGPS, Google Earth, etc). Note also you may remove the jumper from GPS-1 to go into Telecommand mode (default login password “rfs1”) but you must type “GPS” to get console output. Currently, the best free program is “Bluetooth GPS” by GG Moblab. You can visit the Google Play store and install it here. We do have an application planned for 2015, stay tuned in the future for updates on this application which gives full front button control and advanced sensor data. If there are features you’re interested in, please contact us through the sign-up page and forum. One needs to run the hcitool and find the devices to pair with, configure /etc/bluetooth/rfcomm.conf and then enable access control for the HC06 Bluetooth install on GPS-1/GPS-2 devices. Finally, you can simply run gpsd as below and gain access to an entire world of applications on Linux.